Curiosity, NASA’s Mars Science Laboratory (MSL) continues its exploration and examination of “Vera Rubin Ridge” on the slopes of “Mount Sharp”. 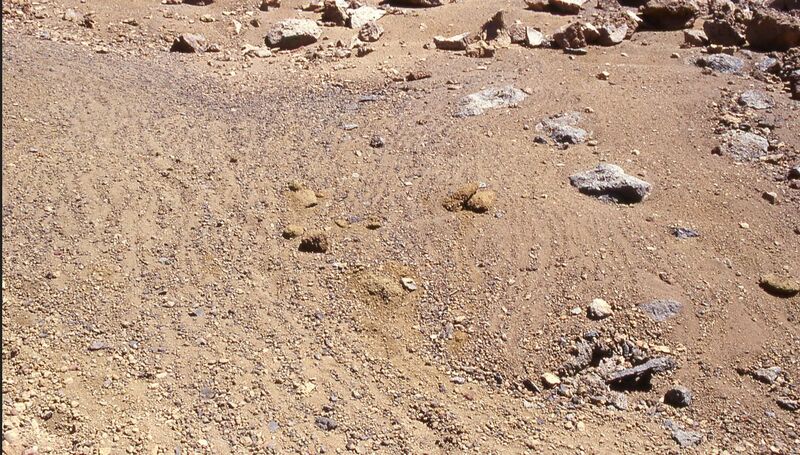 Most recently, star- and swallowtail-shaped tiny, dark bumps in fine-layered bright bedrock have been drawing the attention of the rover’s science team due to their similarity to gypsum crystals formed in drying lakes on Earth – although multiple possibilities for the features are being considered alongside their potential for being formed as a result of water action. The features pose a number of puzzles: where they formed at the same time as the layers of sediment in which they sit, or were formed later as a result of some action? Might they have been formed inside the rock sediments of “Mount Sharp” and exposed over time as a result of wind erosion? Do they contain the mineral that originally crystallised in them, or was it dissolved away to be replaced by another? Answering these questions may point to evidence of a drying lake within Gale Crater, or to groundwater that flowed through the sediment after it became cemented into rock. “Vera Rubin Ridge” stands out as an erosion-resistant band on the north slope of lower Mount Sharp inside Gale Crater. 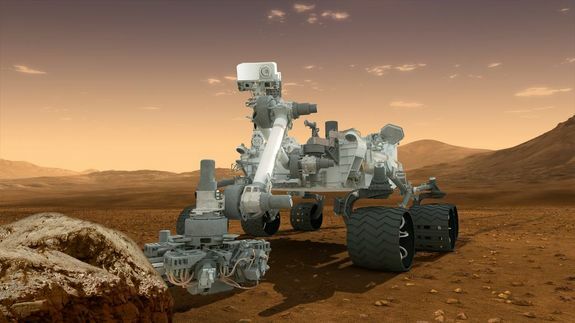 It was a planned destination for Curiosity even before the rover’s 2012 landing on the crater floor near the mountain. The rover began climbing the ridge about five months ago, and has now reached the uphill, southern edge. Some features here might be related to a transition to the next destination area uphill, which is called the “Clay Unit” because of clay minerals detected from orbit. In addition to the deposits, the rover team also is investigating other clues on the same area to learn more about the Red Planet’s history. These include stick-shaped features the size of rice grains, mineral veins with both bright and dark zones, colour variations in the bedrock, smoothly horizontal laminations that vary more than tenfold in thickness of individual layers, and more than fourfold variation in the iron content of local rock targets examined by the rover. The deposits are about the size of a sesame seed. Some are single elongated crystals. Commonly, two or more coalesce into V-shaped “swallowtails” or more complex “lark’s foot” or star configurations. They are characteristic of gypsum crystals, a form of calcium sulphate which can form when salts become concentrated in water, such as in an evaporating lake. In January, Curiosity examined a finely laminated bedrock area dubbed “Jura”, thought to result from lake bed sedimentation, as has been true in several lower, older geological layers Curiosity has examined. This tends to suggest the crystals formed as a lake in the crater evaporated. 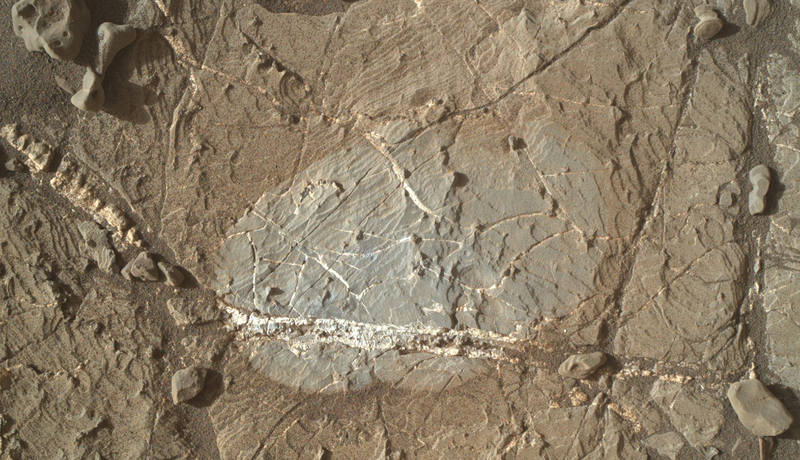 However, an alternate theory is that they formed much later, as a result of salty fluids moving through the rock during periodic “wet” bouts in the planet’s early history. This would again be consistent with features previous witnessed by Curiosity in its past examination of geological layers, where subsurface fluids deposited features such as mineral veins. 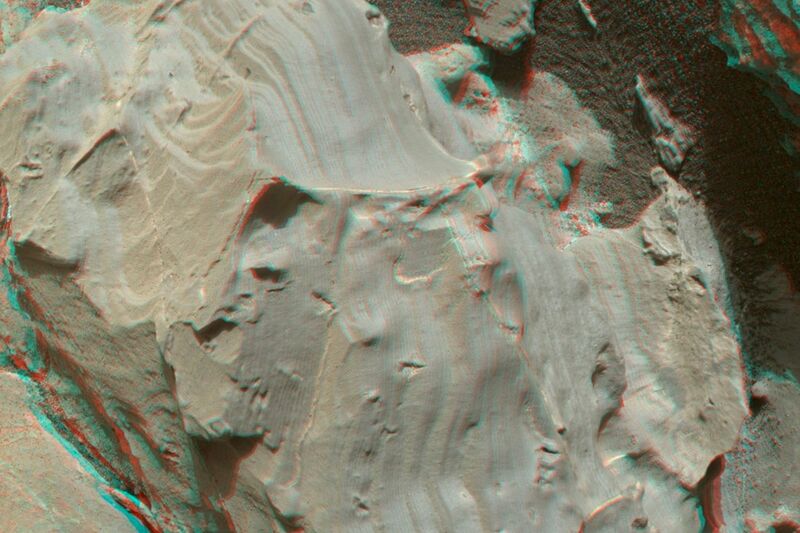 That the deposits may have formed as a result of fluids moving down the slopes of “Mount Sharp” is pointed to by some of them being two-toned – the darker portions containing more iron, and the brighter portions more calcium sulphate. These suggest the minerals which originally formed the features have been replaced or removed by water. The presence of calcium sulphate suggests salts were suspended in any water which may have once been present in the crater. If this is the case, it could reveal more about the past history of Mars. Even if the deposits formed inside the sediments of “Mount Sharp” and were exposed over time as a result of wind erosion, it would reveal a lot about the region, providing evidence that as water became more and more scarce, so it moved underground, taking any minerals which may have been suspended within it along as well. “In either scenario – surface or underground formation – these crystals are a new type of evidence that builds the story of persistent water and a long-lived habitable environment on Mars,” Vasavada notes. As well as offering further evidence of Gale Crater having once being the home of multiple wet environments, the presence of iron content in the veins and features might provide clues about whether the wet conditions in the area were favourable for microbial life. Iron oxides vary in their solubility in water, with more-oxidized types generally less likely to be dissolved and transported. An environment with a range of oxidation states can provide a battery-like energy gradient exploitable by some types of microbes. As Curiosity explores “Vera Rubin Ridge”, half a world away, NASA’s Mars Exploration Rover (MER) Opportunity has reached 5,000 Sols (Martian days) of operations on Mars in what was originally seen as a 90-day surface mission. Currently, Opportunity is investigating a mystery of its own: a strange ground texture resembling stone striping seen on some mountain slopes on Earth that result from repeated cycles of freezing and thawing of wet soil. 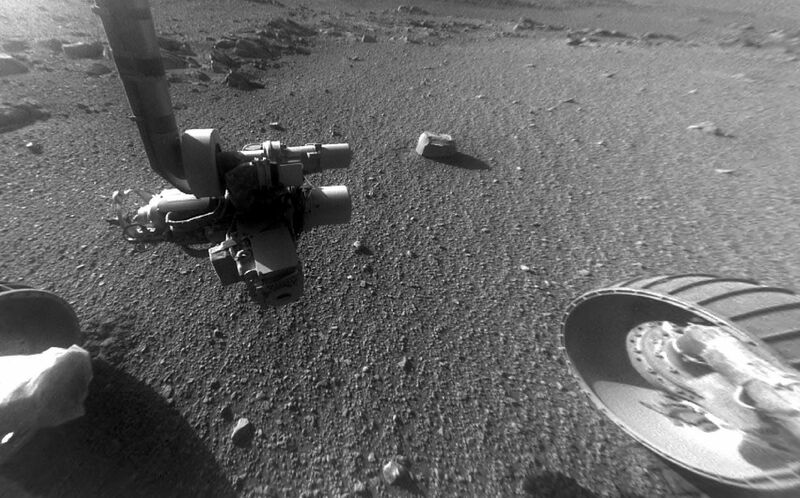 The texture has been found within a channel dubbed “Perseverance Valley” the rover is exploring in an attempt to reach the floor of Endeavour crater. This 22 km (14 mi) diameter impact crater has been the focus of Opportunity’s studies since it reached the edge of the crater in October 2011. The striping takes the form of soil and gravel particles appearing to be organised into narrow rows or corrugations, parallel to the slope, alternating between rows with more gravel and rows with less. One possible explanation for their formation is that on a scale of hundreds of thousands of years, Mars goes through cycles when the tilt, or obliquity, of its axis increases so much that some of the water now frozen at the poles vaporises into the atmosphere and then becomes snow or frost accumulating nearer the equator and around the rims of craters like Endeavour. Another explanation for the formations is that they are the result of wind action. Opportunity has already imaged numerous rocks that have been carved by sand blown up through the channel by winds from the crater floor. These same winds could be responsible for regimenting the material within the stripes. A piece of Mars will soon be returning home. 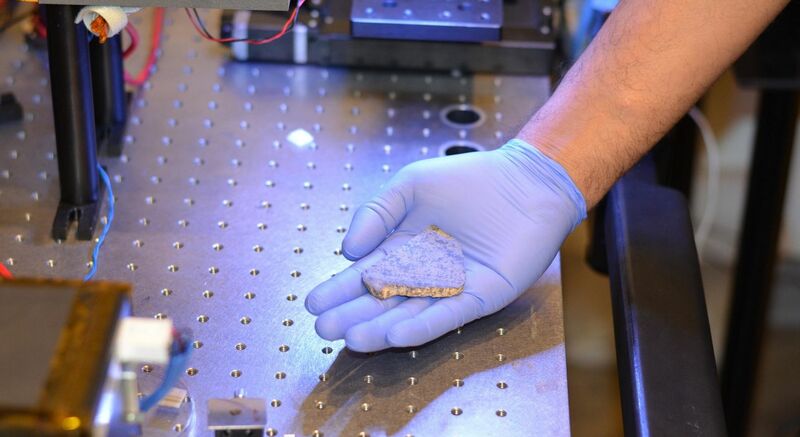 Taken from a meteorite called Sayh al Uhaymir 008 (SaU008), which has been identified as originating on Mars, it will be carried aboard NASA’s Mars 2020 rover mission, which is set to land on the Red Planet in 2021. once there, it will serve as a practice target for a high-precision laser mounted on the rover’s arm. 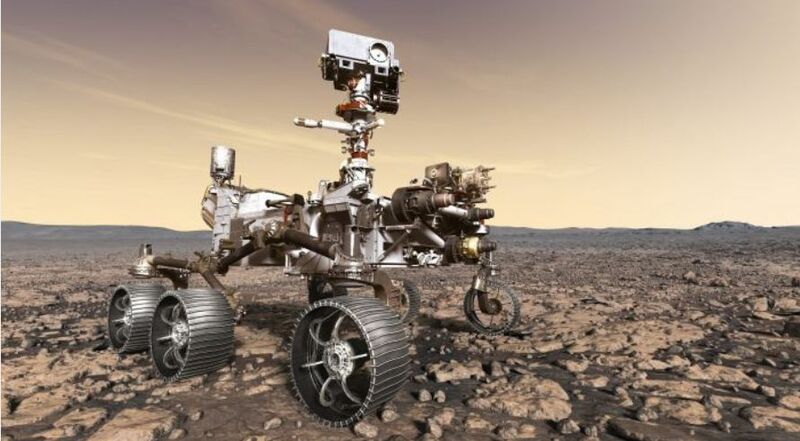 Called SHERLOC (Scanning Habitable Environments with Raman and Luminescence for Organics and Chemicals), this instrument will be the first on Mars to use Raman and fluorescence spectroscopies. This consists of subjecting materials to light in the visible, near infrared, or near ultraviolet range and measuring how the photons respond. Based on how their energy levels shift up or down, scientists are able to determine the presence of certain elements. Calibrating instruments when on Mars or orbiting is a common practice: getting to the planet involves a rough ride, so calibrating things on Earth simply isn’t sufficient. For example, with the ChemCam laser carried aboard NASA’s Curiosity rover was calibrated (and re-calibrated) using a painted target on the rover itself. However, due to the uniqueness of SHERLOC’s laser, mission planners have opted to use an actual slice of Mars, once carried to Earth millions of years ago in the form of a meteorite – one of around 200 such rocks which have been discovered (most often in the Arctic and Antarctic, where they tend to be preserved in almost pristine condition) thus far. Along with the piece of SaU008, the Mars 2020 rover will include a selection of advanced materials which will be exposed to the Martian environment see how they hold up to Martian weather and radiation. If they prove to be tough enough to survive, they could be used in the manufacture of space suits, gloves and helmets for future astronauts. These samples will also be subject to periodic study by SHERLOC to assess their condition and potential degradation.